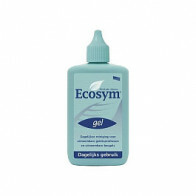 Ecosym® - For the perfect cleaning of your SnorBan® mouthpiece. Citric acid removes plaques which may contain bacteria, but does not affect the copolymeric material. Eucalyptus-oil provides a sensation of freshness. Sea salt stabilises and strengthens the action of the citric acid. For the daily gentle cleaning of your SnorBan oral appliance. 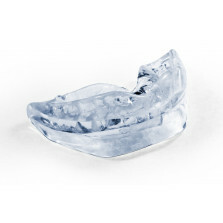 Ecosym gel (Biological Denture Care) keeps your SnorBan appliance perfectly clean without affecting the material. Cleansing concentrate for your SnorBan oral appliance. Ecosym Forte (Biological Denture Care) keeps your SnorBan oral appliance perfectly clean without affecting the material. 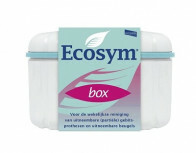 The handy three-part box is perfect for the weekly intensive cleaning of your SnorBan appliance. Thanks to its precisely fitting dimensions, the box guarantees that you use the optimum amount of cleaning concentrate. We are “Trusted Shops“ Certified. Buyer protection up to £2,500 with the Trusted Shops Guarantee. Leaves plate feeling fresh and clean. Best thing i have used for my teeth. Excellent product for cleaning dentures - especially when travelling.